Charles Darwin is best known for his book On the Origin of Species by Means of Natural Selection, or the Preservation of Favoured Races in the Struggle for Life, published in 1859. Twenty years earlier, in 1839, he had published The Voyage of the Beagle (also known as “Darwin’s Journal of Researches”) drawn from his experiences onboard the 1831-1836 survey exploration journey of the HMS Beagle. In cruise vernacular this was a 1,741-day (non-luxury) voyage, round-trip from Plymouth, England: December, 27 1831 – October 2, 1836. Today the Blue Mountains are protected as a UNESCO World Heritage site known as the Greater Blue Mountains World Heritage Area that spans 1.03 million hectares (2.5 million acres). 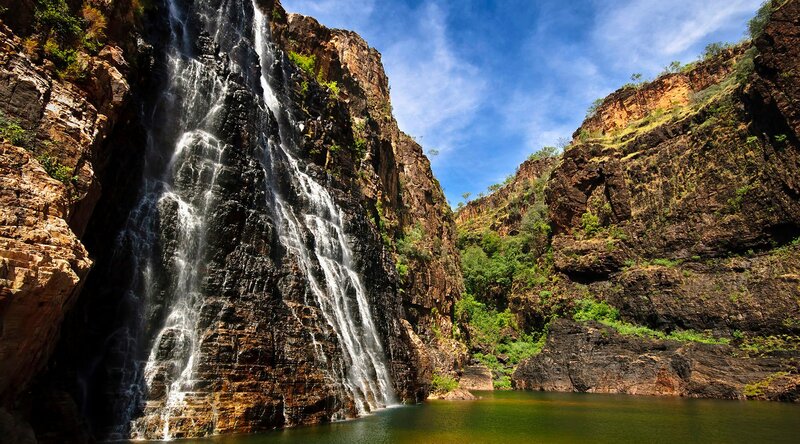 Visitors to the park can follow Darwin’s route from the ferry terminal at Circular Quay in Sydney to Wallerawang and beyond, with stops and paths along the way such as the 2-mile Charles Darwin Walk that follows a creek to a waterfall and vast views. There is also a private non-profit foundation called the Blue Mountains World Heritage Institute whose mission is to “engage research and communities in caring for the Greater Blue Mountains World Heritage Area.” One example of this was a three day field trip that taught college students ‘large-scale ecosystem management’. They welcome volunteers and donors. I don’t know about you but a visit to Australia and specifically the Greater Blue Mountains World Heritage Area has suddenly moved far up my bucket list of must-see places! Azamara Club Cruises has seven upcoming voyages calling on Sydney, Australia. The Greater Blue Mountains World Heritage Area (GBMWHA) is the catchment and lungs of the Sydney basin, providing a wide range of essential ecosystem services. It is internationally recognized for its biodiversity and cultural significance and is particularly noted for its wide and balanced representation of eucalypt habitats. Eight national parks (Blue Mountains, Wollemi, Kanangra-Boyd, Nattai, Yengo, Gardens of Stone, Thirlmere Lakes and Jenolan Caves Karst Reserve) were integrated into the GBMWHA, which was added to the World Heritage List in 2000 to form the largest integrated system of protected areas in New South Wales.